The Landscape Art Legacy Of Florida's Highwaymen The Highwaymen were a group of African-American artists in the '60s and '70s who sold idyllic paintings by the roadside of Florida's Route 1. Back then, they nearly saturated the market with their pictures, but today their work is sought after by the likes of Steven Spielberg and Michelle Obama. If you traveled by way of Florida's Route 1 in the '60s and '70s, you might have encountered young African-American landscape artists selling oil paintings of an idealized, candy-colored, Kennedy-era Florida. They painted palms, beaches, poinciana trees and sleepy inlets on drywall canvases — and they came to be known as the Highwaymen. The group made thousands of pictures, until the market was saturated, tastes changed, and the whole genre dwindled. 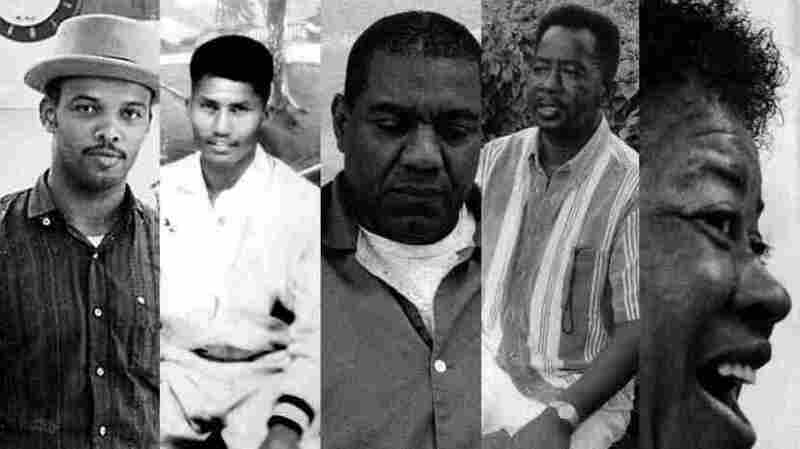 The story of the Highwaymen is one of beauty and heartbreak. Their original — and perhaps most talented — artist was a young man named Alfred Hair. He founded the group when he crossed the color line to study with artist A.E. "Beanie" Backus, a friend of Hair's art teacher. Backus encouraged him to paint. Hair went on to develop a speed-painting technique that involved tacking up multiple canvases into a kind of artists' assembly line. But when Hair was gunned down in 1970, the Highwaymen nearly disbanded. Al Black was the group's original salesman. He was the one responsible for getting so many of those glistening, still-wet paintings onto motel and office walls. "He could sell a jacket to a mosquito in summer," says Mary Ann Carroll, the group's sole "Highwaywoman." After Hair's death, the group fell on hard times, but Black kept at it. When he needed more paintings to sell, he just painted them himself. Then came drug addition and a 12-year prison sentence. Black spent his time in prison painting bayous and beaches. Scores of his paintings have helped transform the state's jails. Black and Carroll were eventually rediscovered by Gary Monroe, a Florida documentary photographer who exhaustively researched the group for his 2001 book, The Highwaymen: Florida's African-American Landscape Painters. Today, some Backus loyalists feel the Highwaymen absconded with the painter's vision, never giving him enough credit and surpassing him in fame, if not in talent. Kathleen Frederick, executive director of the A.E. Backus Museum and Gallery, has a harsh perception of the artists. She says they could never have painted as Backus did on private land because they would have "been run off and shot." That acrimony is not the legacy Backus himself would have left. He was, by all accounts, one of the most inclusive people the community knew. This story was initially produced with Oxford American magazine for a collaborative series called Southword — a spotlight on the people, places and trends that shape the modern American South. 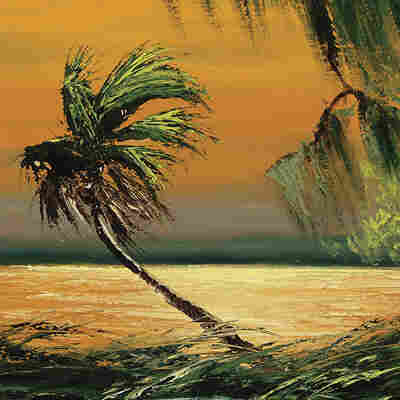 It's a welcome discovery to learn that the majority of the self-taught Highwaymen still paint. According to the Florida Artists Hall of Fame, the group consisted of 26 painters, 18 of whom are still alive. Today, their paintings sometimes go for thousands of dollars and are collected by people like Steven Spielberg, Michelle Obama, Jeb Bush and a small army of private collectors. The Florida Highwaymen stories originally aired July 4 and 5 on All Things Considered and Morning Edition.